A concentrated hydrophobic liquid containing volatile aroma compounds from plants and widely used in aromatherapy. CANVAS hold up to 44 pure essential oils and some of them are certified organic to benefit you physically and spiritually. 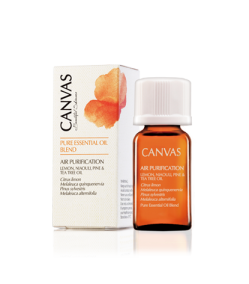 A clarifying blend best use as air purification. Basil is emotionally calming, relaxing and warming. Bergamot oil is emotionally encouraging, uplifting and balancing. Black Pepper is energising and stimulating. It relieves muscle aches and pains. Relaxing and calming, relieve premenstrual tension, pain of rheumatism, edema. Cedarwood Oil is emotionally calming and anti-inflammatory. Chamomile German is an excellent healing, anti-inflammatory and anti-allergic extract. A supreme calming and relaxing oil, it is useful to calm tension, stress, insomnia. Cinnamon Bark Oil is uplifting and warming. It is best use as room disinfection. It is an excellent air purifier when diffused. It is best knownas an insect deterrent. Clary Sage is calming and euphoric. It is useful to help relieve nervous tension. Clove Bud is warming and analgesic for muscular and joint pain. Cypress is fresh smelling. It is good for respiratory complaints. Eucalyptus is emotionally stimulating and it helps to clear the air and freshen the space. Fennel is useful for the relief of indigestion and over-indulgence. It support the immune system, maintain well-being and beneficial during times of stress. Famous for its rich sweet floral essence, Geranium is emotionally balancing and uniquely. It is considered to be a masculine essence for support and balance. Grapefruit is uplifting and beneficial in times of stress. Its ability to stimulate the production of new skin cells. Juniperberry helps relieve stress, nervous tension. It is highly aromatic with a fresh fruity-floral scent. Emotionally, it is very relaxing. Cold pressed from the fresh fruit peel, it emotionally uplifting and promoting alertness. Lemongrass is fresh smelling, emotionally stimulating and invigorating. Lime is refreshing and emotionally uplifting. It can be helpful in stimulate appetite. Mandarin is gentle and calming, It is excellent for reducing tension and mild anxiety. It is excellent to reduce stress, mild anxiety and related conditions. A soothing blend aids in the relief of the symptoms of nasal allergy. It is beneficial during times of stress and can relieve nervous tension and insomnia. It possesses significant anti-microbial, antiseptic and disinfectant properties. Sweet Orange is emotionally uplifting and cheery with its sweet citrus scent. It is calming and clarifying. it is also useful in skin care for its hydrating benefits. It is a regenerating and anti-inflammatory essence to heal minor wounds. It helps to sharpen the senses to help focus and clear the mind. It can stimulate circulation to relieve muscle aches and pains. Ravensare has a reputation for being a universal healing oil with its soft sweet scent. It helps enhance blood circulation, rebalance sebum production and detox. With very good balancing and calming effect to improve sleeping quality, headache. Rosemary is emotionally uplifting and stimulating and helps with promoting clarity. It is emotionally relaxing and uplifting. Also assist in the treatment of acne. Indigenous to Australia, Tea Tree has powerful cleansing and purifying properties. It helps to soothe rheumatism and muscles stiffness, induce menstruation. 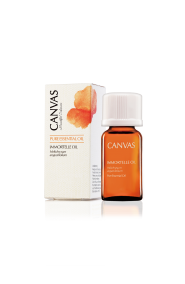 It is effective in calm emotion, promote circulation and rebalance oiliness. It is emotionally calming, relaxing and stabilising.